Weep for us. The Senate just passed CISA. In years past i mentioned on a number of occasions my knife sharpener, Jivano, but somehow never got around to telling about how Sam Mogannam, the entrepreneurial genius behind Bi-Rite Market bought the building housing Jivano’s knife sharpening shop and his tiny apartment behind the shop and squeezed Jivano out in 2012. Jivano worked out an arrangement with Katy at ABC Locksmith a couple of blocks down the street in which you could drop your knives off at her place and pick them up sharpened the next day, but not enough of his loyal customers were loyal enough to put up with the inconvenience, and he couldn’t cover rent for a cheap room to live in. So he ended up living in a camper near Middletown and supporting himself with pick up work. And then things got rough, as revealed in a New York Times article! last month that was clipped and sent me by my friend Bob. I was shocked and horrified to learn that Jivano’d been burned out and escaped with literally the shirt on his back, so i started digging around. At some point in the past he’d let his website die, and i had neither phone number nor email address for him, nor could i find anything on the Internet other than the Times article. I tried contacting the Red Cross, thinking they might have a database of fire victims, but they were no help. Finally i just wrote a letter to him with the address “Middletown CA 95461” and on the envelope added a plea to the postmaster requesting that he provide the rest of the address, guessing that Jivano was listed in Middletown. It worked. Got a call from him last night and learned some details. Like that as the flames rushed closer his car wouldn’t start, but that blessedly a neighbor’s beat up, unregistered old truck would and that he used that truck to just barely escape with his life. Unfortunately, he injured himself in the escape and is now crashing with various friends as he recovers from a damaged rotator cuff. So yes, he’s alive, but the shoulder problem limits the work he can do while it resolves, and of course he doesn’t have the money to pay for medical intervention. The car and the camper, with everything he owned in it, are reduced to ashes and melted blobs of metal. I just mailed him a little donation, using his legal name (mentioned in the Times article above, Jivano being his business name), and i’m hoping that some of my readers who remember him might also chip in. Picture yourself standing, injured, in the uninsured ruins of your home. Meanwhile, a Water Street art shot. Note: I have always put into my text links to other sites that provide either substantiation of a statement i’ve made or just additional information. I’ve now started a new convention of inserting an exclamation point (!) at the end of links that provide information critical to understanding or otherwise of especial importance. Case in point: the exclamation point at the end of the link in the second paragraph above. The leftist blogsphere is ummmm, up in arms over Texas A&M’s regulations forbidding nerf guns while allowing the carry of firearms, but i have to say the University’s correct. After all, our Constitution nowhere guarantees the right to bear toys. A drumroll, please. 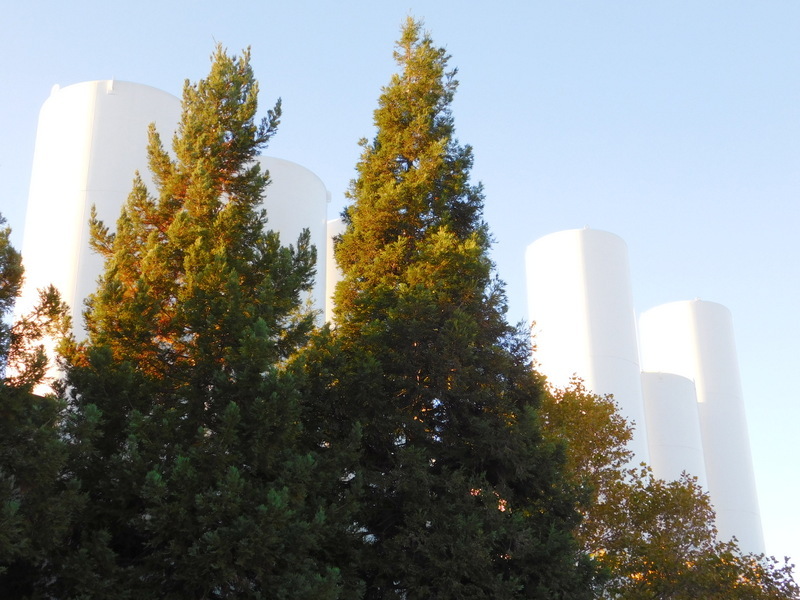 There’s a new photo essay at the top of the Bridges menu, The Bridges of the Petaluma. I got a great deal of pleasure out of constructing it. Meanwhile, since it’s not all bridges here at Matte Gray, an art shot, onto which i blundered during my unsuccessful attempt to get a shot of that NWP bridge north of the Payran Street Bridge. Regarding that mandatory registration of drones the Treasury Department is planning, no problem. To avoid the hassles of registration, all you’ll have to do is mount a gun on your drone and assert your second amendment rights. I’ll start my coverage of Petaluma markets by saying that the closest supermarket to my apartment is Lucky, but i popped in there and was shocked to find that Clover milk cost far more than i’d seen anywhere else. Deal breaker. The only thing i can project buying there is the Vanilla Light Frappucino, which i just love cut with an equal amount of fresh coffee and which comes in bottles that i need for my chocolate sauce. I also stopped in at Sprouts Farmers Market at 401 Kenilworth Drive and found it chilled to perfection and beautiful. I was kinda hoping it would be Petaluma’s equivalent of Rainbow Grocery in San Francisco. Alas, even though it’s tightly focused on organic and natural foods, it’s a national chain that’s not a patch on Rainbow, so i won’t be going there often. My favorite supermarket so far is the Petaluma Market. It’s locally owned and has pretty much everything i need, including the best prices i’ve found for Clover milk, over fifty cents a half gallon less than Lucky. So much for the supermarkets, how ’bout the farmers’ markets? Well, there are two, but candor mandates mentioning that neither is a patch on those i frequented in San Francisco. Still, both have a number of vendors with a moderate range of produce that’s sometimes merely adequate but often quite good. 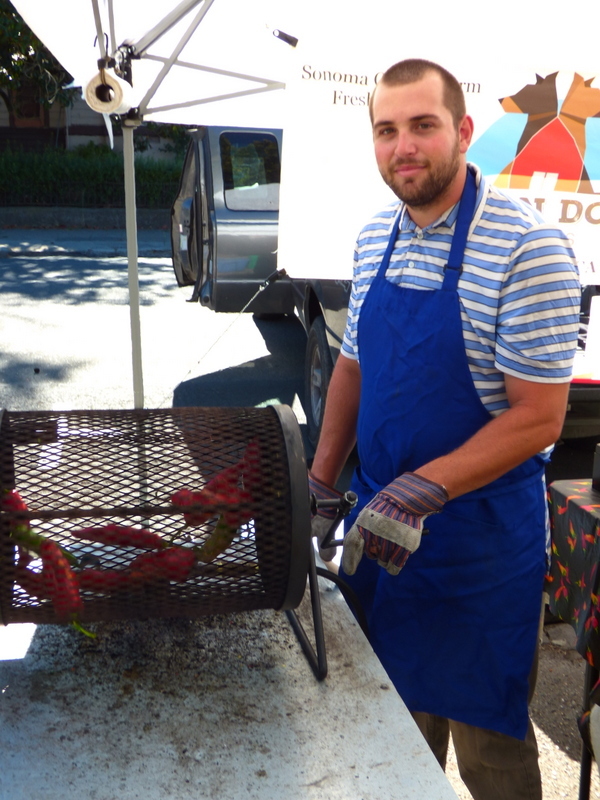 The Petaluma East Side Farmers’ Market at 501 N. McDowell is open year round on Tuesdays 10 – 1:30. Getting there is an interesting ride because most of it is on the Lynch Creek Trail. 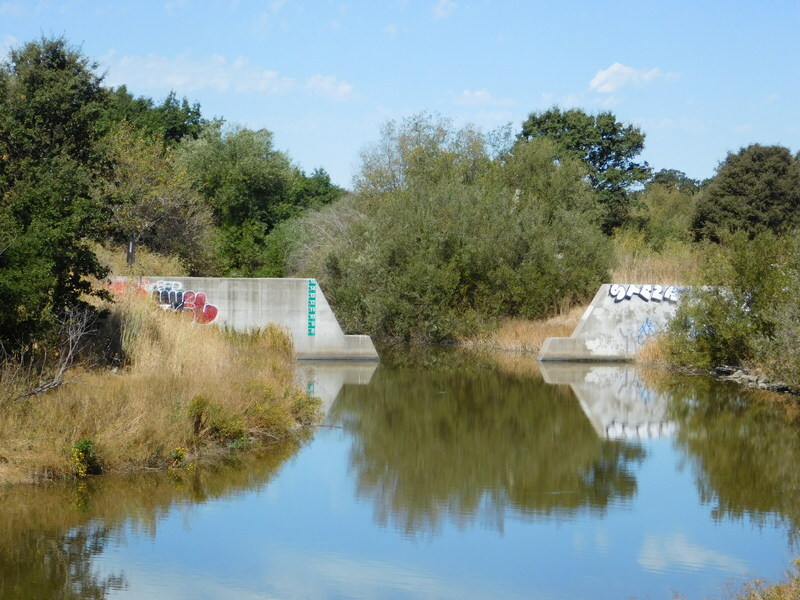 I live directly west of the second “a” in “Petaluma River” on the above linked map, and to get to the market i simply ride south to Payran Street, go east over the Payran Street bridge, turn immediately north onto the trail and follow it north under the freeway to McDowell Street. The market is about three blocks west. 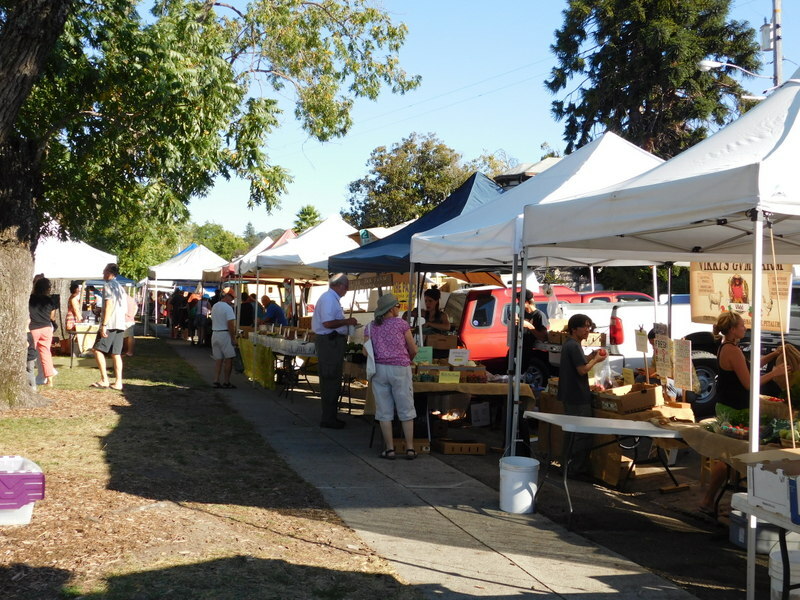 The Petaluma Farmers’ Market at Walnut Park, corner 4th and D Streets, is open Saturdays 2 – 5:30 May-November. This market is the home of my favorite local vendor, Twin Dog Farms, which sells peppers. What’s so special about that, you ask? Well, he roasts them to order for you. Another favorite vendor at this market is Schletewitz, from whom i’ve been buying since 1992, when Eric Schletewitz was a teenage farm boy and threw a few bags of his father’s oranges into the back of his pickup truck and drove to the San Mateo Farmers’ Market at Fashion Island to see if he could sell some. He sold ’em all, which was no surprise to me considering that his oranges were as delicious as he was as charming, and this venture turned into his setting up booths at farmers’ markets all over the Bay Area. I was astonished and delighted to see them as far north as Petaluma. 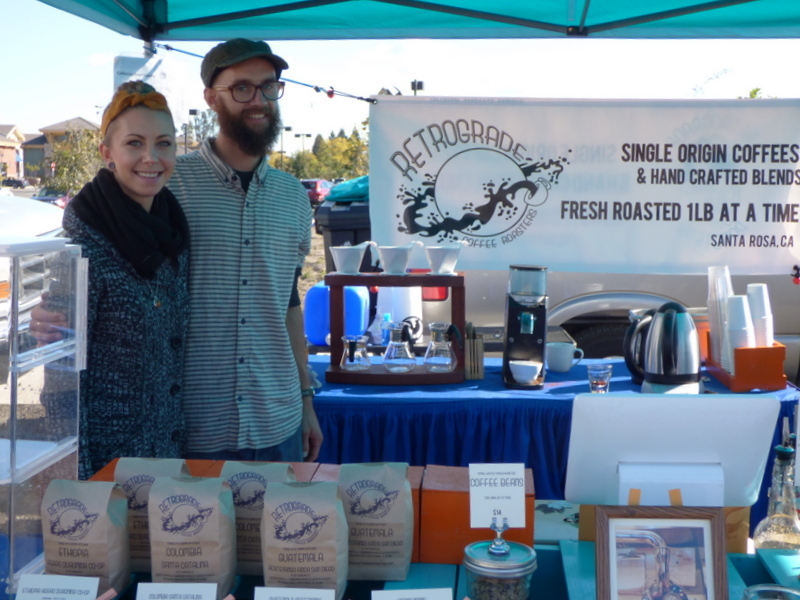 My other favorite vendor at this market is Retrograde Roasters, a tiny two person operation out of Santa Rosa that sources its beans from Oakland’s legendary Sweet Maria’s, roasts them in their kitchen, and peddles them in farmers’ markets around Santa Rosa. Casey Lanski and Danielle Connor are delightful people and their coffee is delicious. I’ve found downtown a little local bank, Summit, with an ATM that i’m using to get my cash so the ATM fee stays here. Besides, it’s only $2.50. It’s been difficult to get my head around the fact that as i’m typing this i’m living about fifteen feet above mean high tide. 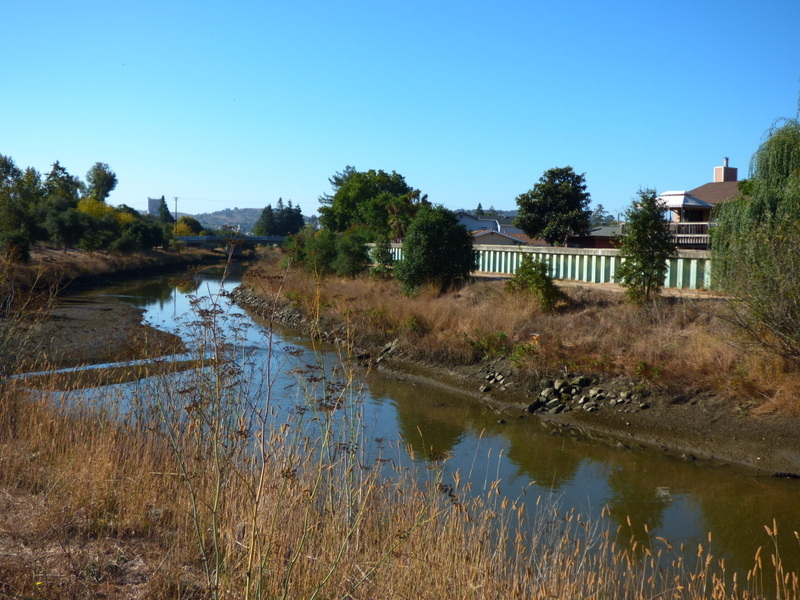 The Petaluma River, the bank of which i can see about 25 yards away out my kitchen window, is really just a tidal estuary of San Pablo Bay fed by a few creeks, and at the Payran Street bridge a hundred yards south the tidal variation twice a day runs about six feet. I find this fascinating. Also fascinating is that as global warming progresses and sea levels rise, mean high tide will get meaner. But that will be after my time. Of more immediate interest in the face of this year’s escalating El Niño is the question of flooding. The good news is that the Petaluma River watershed drains only 146 square miles, so the possibility of massive floods is negligible. Hell, there hasn’t even been a minor one since way back in 2014, and that wasn’t in my area. Here’s a video compilation of Petaluma floods in which you can see, just down the street from me, the corner of Payran and Jess under four feet of water. Not to worry now, of course, as the Army Corps of Engineers has taken precautions to protect downtown from flooding, so they built this flood control barrier in the riverbed after the 1987 flood. Here it is at near high tide. And here’s a flood wall they put up, seen shortly after low tide. That barrier and the beginning of the flood wall are about 50 yards south of my apartment. The Dutch have taught us that an important aspect of flood control is to leave some areas vulnerable so as to protect the important parts. So yes, if someone has to be sacrificed for the common good, it might as well be the unproductive old like me. I eagerly await the anticipated deluge this winter and hope to get some good photos. I’ll swallow the chip out of my camera before i go under, so tell ’em to do an autopsy and find it. And on a lighter note, i’ve just discovered something i was not conscious of missing in San Francisco – stars. Owing to the ubiquitous maritime haze and bright city lights, on a good night down there you can see four or five stars. Up here, there are way too many to count. My goodness, you can even see constellations. And while i’m at it, there is something i’ve started missing about the city – the cold, brisk onshore wind that sends the tourists into huddled misery but which i came to first tolerate and then enjoy. Well, yes. There have been a number of Segway Events over the past few years resulting in a broken left fibula, broken right radius, three broken fingers, and four broken metacarpals, not to mention that face plant from which i got my only selfie, in all modesty, a good one. So this last one the other day seemed pretty minor since i didn’t even go down all that hard. Better yet, i don’t think there were any witnesses although i’m not sure because i was back onto the Segway in a flash and outta there in case somebody came running to help. Got home and discovered an extensive scrape on the top of the right ankle, which i prudently washed out with soap and then dressed with topical antibiotic and gauze. See, i’m a very cautious individual. Well, except that my ankle kept hurting and i had to limp, which i just hate. I mean, for some years there i was able to make my walking disability look like an insolent slow swagger although by now it’s turned into an old man shuffle, but limping? Oh please. Still, i just pressed gaily forward through the pain because after all, at my age something is always hurting and by now i’ve just turned it into background noise. But yet, the pain got worse. You can ignore the pain during the day and distract yourself with going about your life, but who can sleep at night when he’s hurting? so i had to take a couple of hoarded hydrocodones. Got up the next day, strapped on this elaborate ankle brace i’d kept from a previous incident, and went about my business around town. The pain worsened, so in the afternoon i took off the ankle brace to allow better circulation. That didn’t help, and i had to break out the leftover crutches to get around the house that evening and resort to more hydrocodones to get to sleep. The next day i needed to get groceries and do a number of critical errands, mainly to straighten out the nightmare of getting pharmacy coverage up here because i’d made the mistake of telling my health insurance people i’d moved, so they’d immediately cancelled my insurance and forced me to spend an entire horrible day on the phone setting up a new plan since i’m no longer in San Francisco County and thus not allowed to just easily drive back to all my wonderful doctors in the city, which i had been touting as one of the advantages of moving here. So i strapped on the ankle brace and then, on top of it, this elaborate heavy duty plastic and Velcro strap pump-up boot splint left over from breaking my fibula. Ta da. Got through the day without much pain although the foot was throbbing like mad at bedtime, so i had a third hydrocodone night. Yesterday i wore the brace and splint boot all day long and didn’t leave the house, and the foot responded to this kindness by hurting so little that i didn’t even need hydrocodones to go to sleep. So it’s looking like i won’t have to go to all the hassle of finding a new doctor after all. But don’t worry, Becky, i was planning on turning myself in the very moment stuff started oozing out. 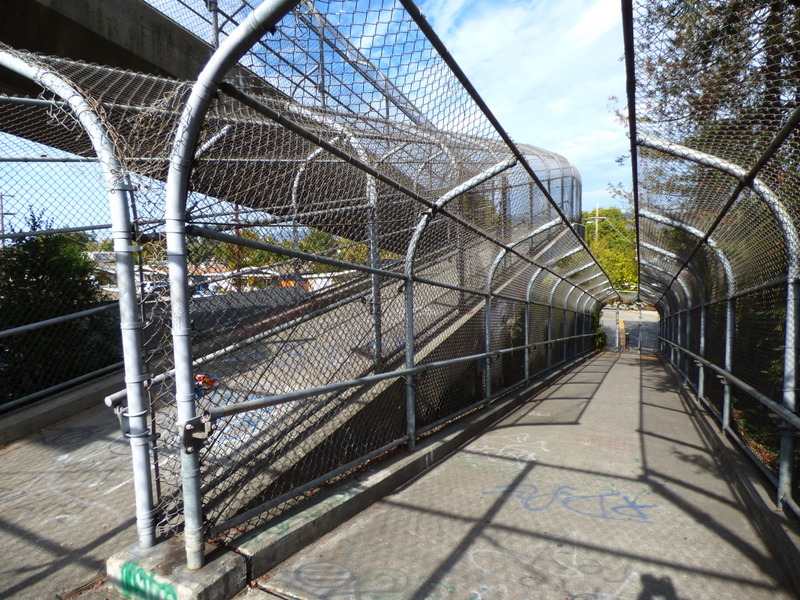 Meanwhile, this is a good place for a photo of one of Petaluma’s major Segway attractions, the pedestrian bridge over Highway 101 at McKinzey Drive. The steel cage is there to keep you from plunging onto the freeway if you miscalculate a turn, so you can go ahead and take them at full speed. 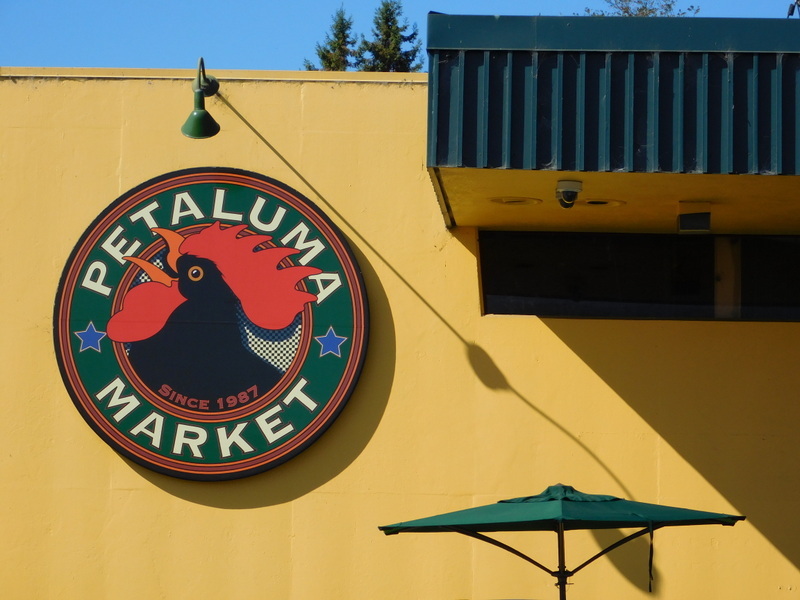 Petaluma has long been between famous and notorious as first the chicken and now the egg capital of Northern California, but how was i to know that many of my favorite foods in San Francisco were actually from Petaluma? I’ll start with Clover milk. I discovered Clover milk in the seventies when i was among the hordes of San Franciscans flocking to Guerneville in the summer, which had been a popular weekend getaway spot decades earlier but had fallen on hard times until it was rediscovered by the gays and enjoyed a renaissance. On the drives to and from Guerneville you were treated to the Clover billboards featuring “Clo”, their own version of Elsie, and outrageous puns like a drawing of her in a green pasture with the caption “Outstanding In Her Field” and the best of all, “Tip Clo Through Your Two Lips”. Another good one was a drawing of Clo in scuba gear with the title “Jacques Closteau” but that one didn’t last too long because he lacked a sense of humor and sued. I say i discovered Clover milk. Actually, it was Clover chocolate milk, the best commercial version of this staple i’d ever drunk, and i smuggled a couple of quarts back to San Francisco every trip. And sometime in the eighties i discovered that you could buy Clover products at certain San Francisco locations, so i became a regular buyer of their milk, buttermilk, butter, sour cream, and cottage cheese…along with the chocolate milk. And lo, i now ride daily past the production facility for Clover on Madison Street at Lakeville Street. I first saw Achinhada Cheese Company in the early nineties when, during a storm, i went to the Ferry Plaza Farmers’ Market at its temporary location on Green Street and the Embarcadero. The weather was so bad that most vendors had stayed home, so i was trying to show some solidarity with those who ventured and took pity on a couple of young women huddled at their tiny stand. The cheese i sampled was called “Capricious”, a well aged hard goat cheese, and i was so stunned by its flavor that i bought a large chunk. Since then, i’ve bought it regularly, and everyone i’ve offered it to has agreed that it’s one of the best cheeses they ever ate. They’re at 750 Chileno Valley Rd. and have stands at many farmers’ markets. Straus Family Creamery dates from 1994 and was the first wholly organic dairy in the Bay Area. 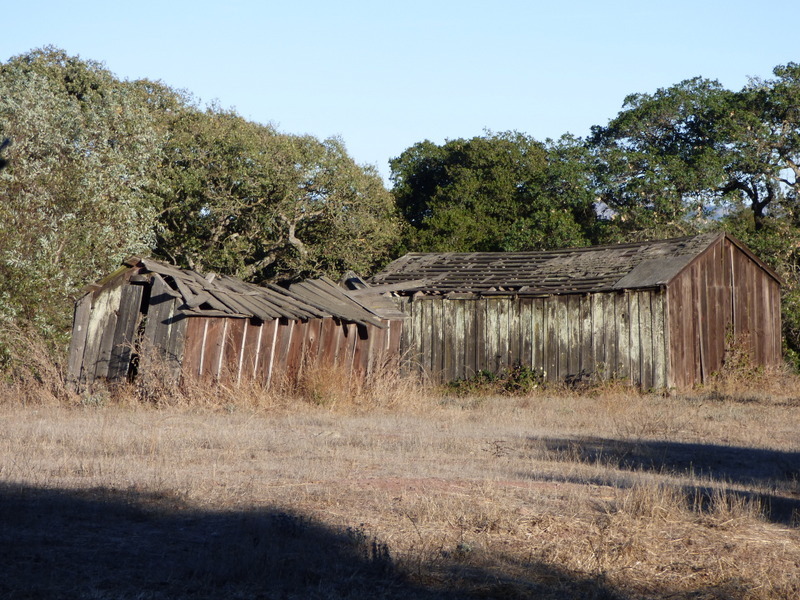 The farms are on the coast in Marin and Sonoma counties, the dairy and creamery are in Marshall, but the business office is at 1105 Industrial Ave. in Petaluma. They are wonderfully retro in a number of ways, one of which being that their milk and cream come only in returnable glass bottles like when i was a little kid before the milk carton was invented. Their delicious products are available in better groceries but expensive enough that i don’t buy them routinely. Lagunitas Brewing Company dates from 1994, and they make a number of very good beers ranging from a stout that’s a little too stout for me through some IPA’s to a couple of pilseners, which are my favorites. The brewery is at 1280 N. McDowell and gives tours and tastings. I found Cowgirl Creamery at the Ferry Plaza Farmer’s Market in the late nineties. They’re really out in Pt. 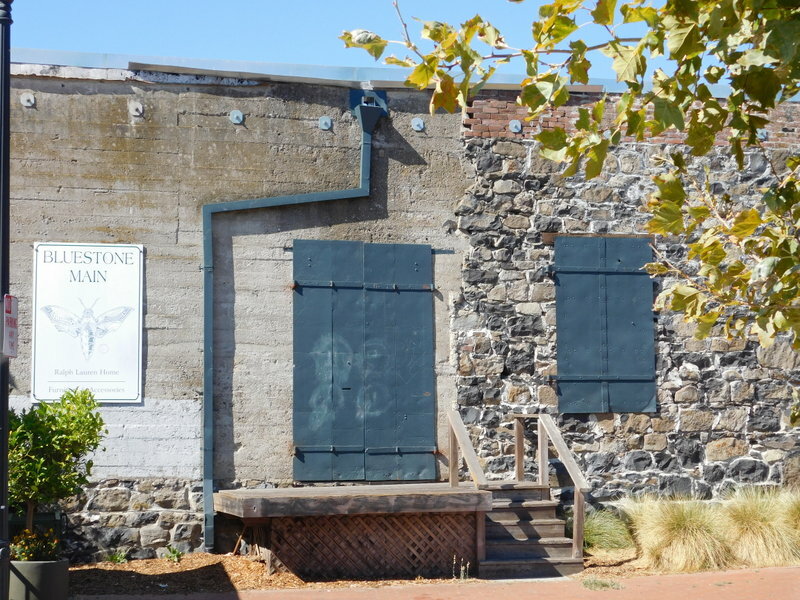 Reyes Station but have a large facility in Petaluma. In the San Francisco Ferry Building, they have a store in which they sell their own cheeses as well as a large variety of excellent cheeses from Europe and the US, but my favorite of all their offerings is their crème fraîche. It was also in the late nineties that i blundered onto Spring Hill Cheese. At that time, they made a Pecorino that vied with good Italian ones, but i didn’t buy it often enough and they stopped producing it. They still make a very good, full fat quark that they’ve flavored with lemon and too much sugar, but my favorite product is their Jersey butter. My friend Chris is from a little dairy town in northern Germany, and on his first SF visit he spread some Spring Hill butter on a piece of sourdough, took a bite, looked up, and gasped, “Vere did you get dis?” This was similar to his reaction when he tasted a Joseph Phelps Trockenbeern Auslese Gewurtztraminer, as it sure is hard for Europeans to understand that we could have played culinary catch up with the old country. Spring Hill is at 711 Western Avenue in Petaluma and in farmers’ markets all over the Bay Area. Marin Sun Farms. Their home is on Pt. Reyes, but the slaughterhouse is in Petaluma and they sell their sustainable meats and eggs in Bay Area farmers’ markets. I didn’t find them until the early oughts when they appeared at the Ferry Plaza Farmer’s Market. I was with Sybil at the Ferry Plaza Farmers’ Market about four years ago when she stopped us at a new stall. When Sybil stops you, you pay attention because it’s gonna be wonderful, and sure enough there stood a handsome young French couple with delicious accents and even more delicious French style yogurt called St. Benoît. It was sold in returnable crocks although it’s now in returnable glass jars and they’ve added a couple more products, including un-homogenized Jersey milk in returnable glass bottles. I don’t buy the yogurt because i prefer the Greek and Icelandic versions, but since Sybil always stops for yogurt, i often get a bottle of that milk so i can carefully pour the cream over things that need it. Smári yogurt. Smári Ásmundsson is from Hafnarfjörður but as a young man emigrated to California to study photography and became a well known professional photographer. Then just a few years ago he branched out into making skyr (Icelandic style yogurt), discovered a second calling in marketing, and founded an eponymous company in Petaluma at 185 H Street. You have to look at the fine print to learn that the yogurt is actually made at a facility in Wisconsin, but it’s so good that i wrote a panegyric to it as it became my yogurt of choice. 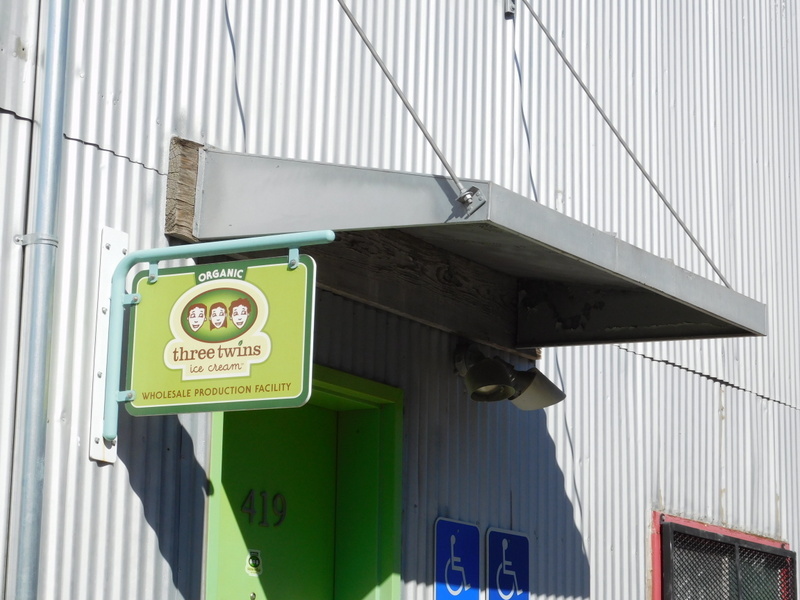 Three Twins Ice Cream – These guys have been around since 2005 but didn’t come to my attention in SF food truck venues until a couple of years ago. The ice cream is delicious and the factory is at 419 1st Street. This is nowhere near an exhaustive compilation of local food offerings but rather just the ones i was already buying before i moved here. Stay tuned, i’ll cover new local delights in later posts. 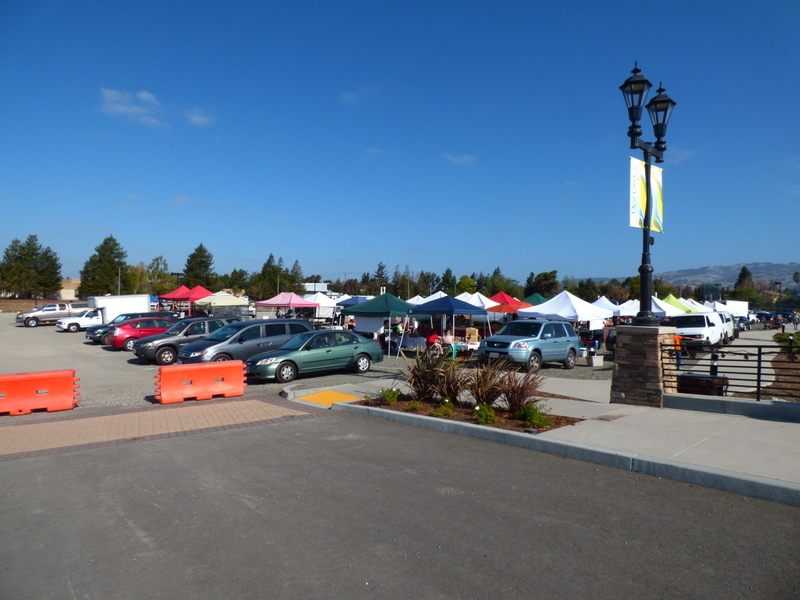 But finally, i’ll add the Marin Farmers’ Market at the Civic Center in San Rafael. I worship there every Sunday, as it has many of my favorite vendors from the Ferry Plaza Farmers’ Market as well as other great vendors who don’t sell at the Ferry Building. Like Walter Bulk with his Oakdale Cheese products including the best quark i’ve found in this country, a quite tasty moderately aged Gouda, and an absolutely delicious and totally toxic brownie made with his quark. I discovered that quark when he was selling at the San Mateo Farmers’ Market on Fashion Island in 1992 when i started working at Oracle. And Nash’s Olive Oil. I met Nash Dweik when he was at the Ferry Plaza Farmers’ Market many years ago, but when the restoration of the Ferry Building was complete, the market jacked up the prices of stalls so high that Nash was squeezed out to the Alemaney Farmers’ Market, which i got to rarely. Still, he has superb cured olives and fine olive oils, and furthermore he has a flock of chickens running loose during the daytime in his orchard, eating bugs and fertilizing the trees. He sells their excellent eggs. I once asked if he gave his hens a final opportunity to contribute to the farm by slaughtering them when they got too old to produce eggs, but he responded, “Aw, i just let ’em live out their lives.” I’ve never felt slimier. 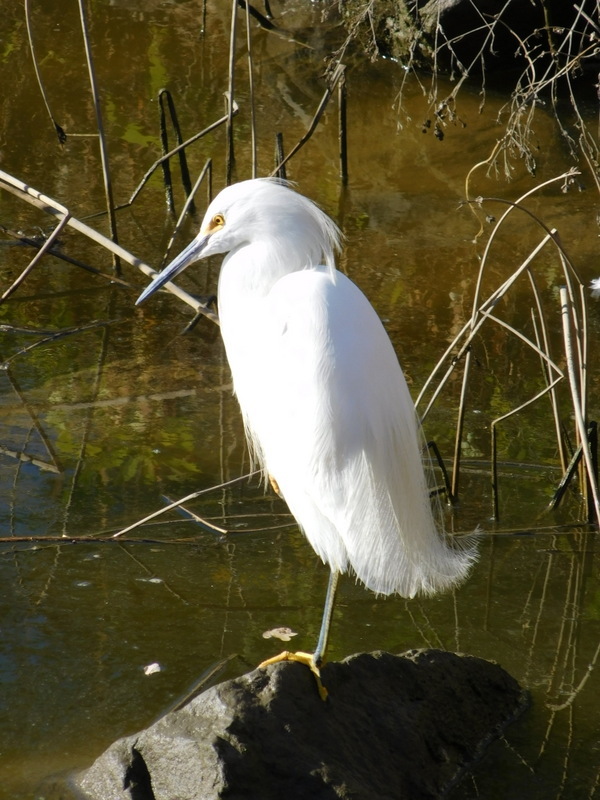 Since i’m going ahead and posting this without more photos of these food places, here’s a shot of a new friend on Washington Creek. I invited him home to lunch, but he flew away before i could make it an offer he couldn’t refuse. It warms the heart to see examples of international cooperation toward a common good, so i was especially pleased over the recent news that Russia has joined the United States by launching air strikes in Syria. Can anyone look at Syria and not understand that the situation there is a cancer that we should labor together to cauterize before it spreads farther? Hopefully, the news that Russia has joined the US in working toward a final solution to the Syria problem will encourage other powers to join us. Certainly Saudi Arabia could shift a few planes from Yemen to help, Iran could escalate its help from merely supplying materiel and a few fighters, France could divert some planes from its efforts in Northern Africa, Turkey could put the Kurdish problem on hold for a bit while it mops up Syria, Israel could stop piddling around over Gaza, Jordan could throw in a couple of planes, the Brits could field a long range bomber or two, and the Germans, who’ve been sitting on their butts for decades, could pitch in and pull their weight. In the best case scenario, China would join the coalition. Just think of what we’ll accomplish by working together! In a week or two we’ll put an end to a horrible civil war that’s been going on for years, we’ll frustrate ISIS by destroying all the idolatrous archaeological sites before they can get to them, we’ll relieve the refugee problem facing Western Europe by eliminating the would-be refugees before they leave Syria, and most importantly, by reducing the entirety of Syria to an empty rubble pile, we’ll “encourager les autres” and get other small countries to behave themselves, lest they get The Treatment. Talk about a win-win-win-win-win. But in my traditional policy of fairness, here’s an alternative view brought to my attention by CKM, from a source i usually discredit but who sometimes comes up with something eminently reasonable. 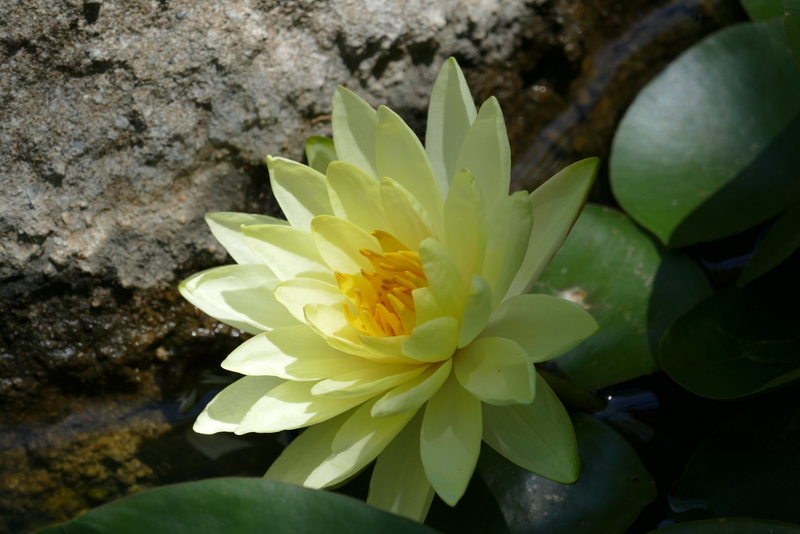 Meanwhile, i went digging back a couple of months into my photo files without finding a pic sufficiently horrible, so here’s a water lily at Saratoga Springs. Religion is the greatest threat to democracy because the religious have greater allegiance to their religion than their country. I drove last Tuesday into the city to have my Prius serviced at Luscious Garage, get a couple of duplicate keys for my new apartment at ABC Locksmith, and pick up Claire Vaye Watkins’ Gold Fame Citrus at Folio Books , discovering while i was in there that Margaret Atwood’s latest foray into dystopia, The Heart Goes Last, had just hit the shelves that morning. Well, yes, we have our passionate loyalties. Upon returning home i found a shocking email from the Department of Elections regretting that since i was no longer a San Francisco resident, they would not be sending me the official election pamphlets this year. Well, i huffed, then i’ll be shifting loyalties from San Francisco to Petaluma. Umm, actually, although i cannot imagine allowing anyone but Luscious to work on the Prius, i’d already started transferring loyalties by giving my annual hundred bucks to the Petaluma library rather than San Francisco’s, and i’ve discovered that Petaluma’s David Copperfield is an excellent bookstore although it’ll be hard to pry me away from Paula and her staff. And that said, i’m discovering that more and more of my San Francisco loyalties were misplaced, at least those for foods. See, i’m finding that many brands to which i was loyal in San Francisco are actually from Petaluma. And to buy a little time to find more of them, i’ll save that for a future post. Meanwhile, the first glimpse of the ethereal city rising beyond the forest. 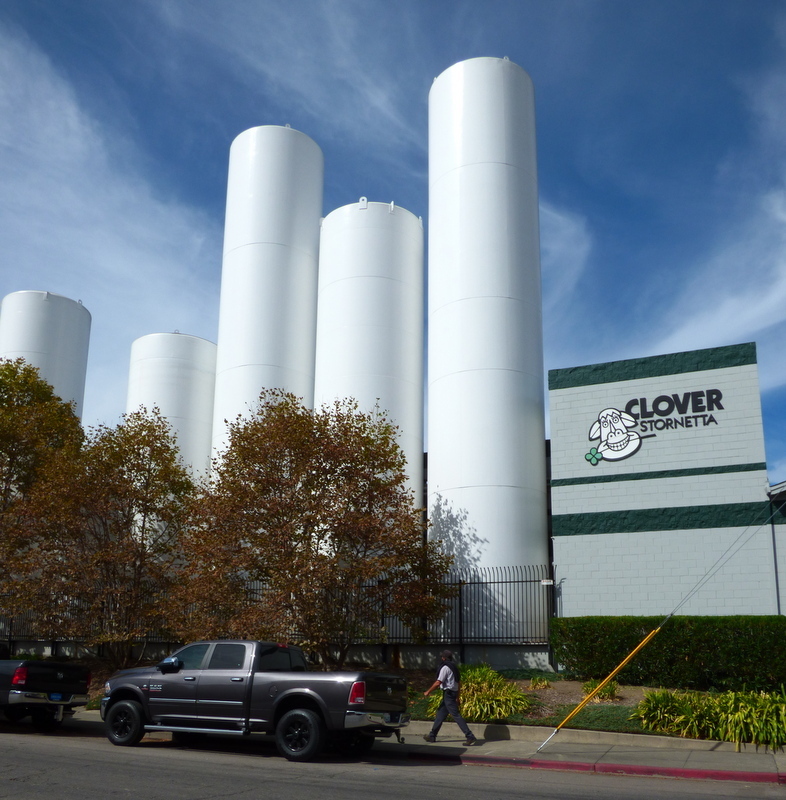 OK, that’s actually Clover Stornetta‘s spiffy new milk production facility on Lakeville Steet.